During a visit to the the Historical Museum of The Hague, beautifully situated at the Hofvijver, you will discover the history of this unique city throughout centuries. Stunning cityviews (by Van Goyen, Van Ravesteyn and many others) and objects (such as a palanquin and silver work) bring history to life. A fascinating history with prominent figures in the leading role, such as the Oranges, the The Witt brothers and Johan van Oldenbarnevelt. Beside our permanent collection, we often organize temporary exhibitions and all sorts of activities. 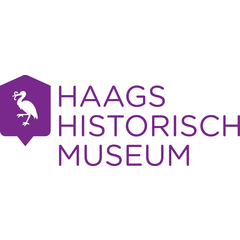 Come visit our museum and discover what is typical for The Hague! From June 30th until November 11th: exhibition 'Greeting from Scheveningen'. Bij paleis Noordeinde wordt nog vermeld dat Dit het werkpaleis is van Koningin Beatrix, dat is al 5 jaar niet meer.